These are vintage 2 loop drops or connectors. 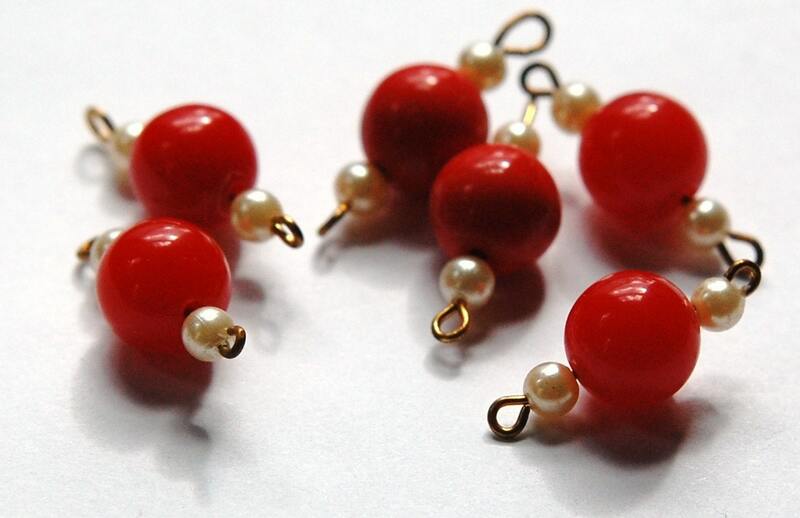 They have a center red acrylic bead with a little acrylic pearl bead on either side. The loop are raw brass. The red measures 10mm. 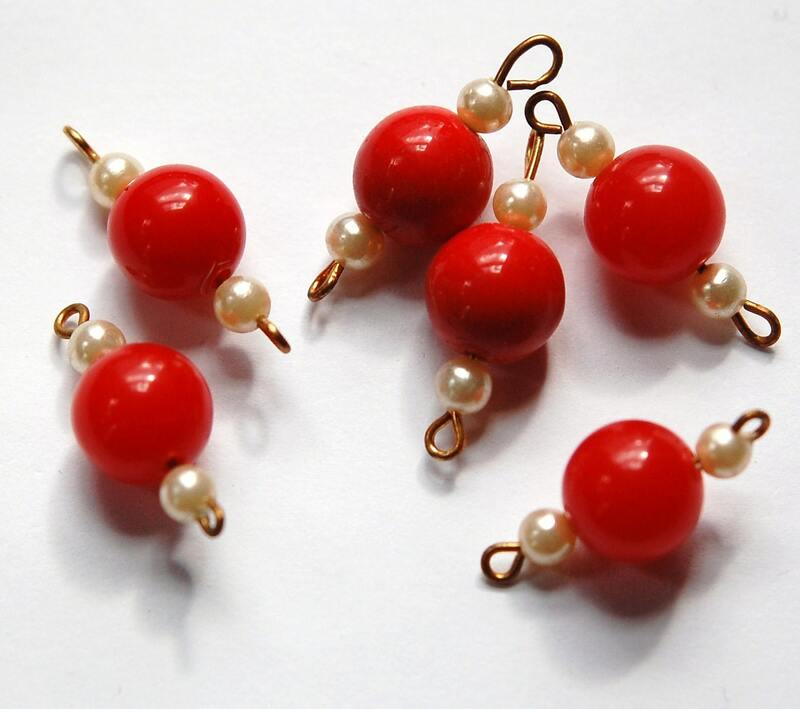 the pearls 4mm. With loops these measure 14mm long. You will receive 6 pieces.